The Screenwise Meter app used an Enterprise Certificate and rewarded users with gift cards to install a VPN app that collected extensive data. Google has apologised and disabled the app on the Apple App Store. Google Screenwise Meter app collected extensive user data. The company has apologised and disabled the app on App Store. Like Facebook Research app, the Google app also used an Enterprise Certificate. Everyone slammed Facebook for having an app that was used exclusively for data collection and Apple banned the app from its App Store. Soon after, TechCrunch reported that Google too has a similar app that violates Apple App Store’s policies and collects bundles of data on users and the company has now disabled the app. Called Screenwise Meter, the Google app functioned by crediting gift cards to users who opted in the company’s Opinion Rewards program, in exchange for keeping track of a user's web traffic and data by installing a VPN app. Similar to the Facebook Research app, the VPN app installed by it used an Enterprise Certificate, which indicates that an app is meant for use within a company and not for the public. The app is still up on the Google App Store. As per the report, while the Screenwise Meter app was meant for users aged 18 and above, users as old as 13 years of age can be added as secondary panellists if they were included in the same family group. 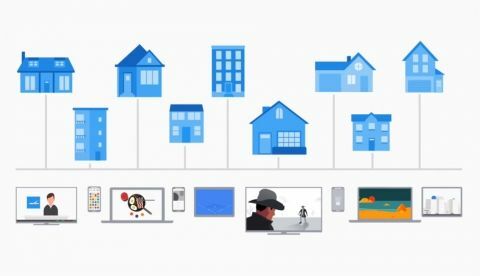 Google had rebranded the app as part of the Cross Media Panel and Google Opinion Rewards programs to reward users for installing the activity tracing services on their phones, PC web browser, router, and TV. The Facebook Research App was reportedly offering up to $20 per month to users to download a VPN app. The company is said to have been secretly paying users to install a “Facebook Research” VPN app that enables it to access to their web activity and data. The report claimed that Facebook sidestepped the App Store and “rewarded” teenagers and adults to download the Research app. Reportedly, Facebook admitted that it was running the Research programme to gather data on usage habits and later, Apple banned the app.